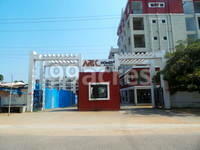 ARK Homes, a raedy to move in residential development by ARK Builders is located in Railway Colony, Secunderabad. The project offers skillfully designed 2-3 BHK apartments which are conceptualized to facilitate the needs of potential buyers. The project is approved by leading financial institutions including IDBI Bank, Punjab National Bank, STATE Bank of India, HDFC Home Loans, among others. The project is well equipped with modern facilities and amenities including clubhouse, theatre, meditation center, conference room, multipurpose hall, sports facility, swimming pool, gym, landscape, intercom, piped gas, water plant, rain water harvesting, laundromat, Wi-Fi connectivity, power back up, 24 hour water supply, lift, car parking, among others. Railway Colony, a developing locale of Secunderabad is famous for its ferrous infrastructure which have lured the buyers to invest in its residential properties. This trend has favored the locality?s residential market. Other factors like connectivity, upgraded civic utilities, and an influx of global lifestyle have also encouraged the developers to bring in more residential projects in one of the developed zones of Hyderabad. The realty landscape of Secunderabad is witnessing enormous construction activities. The rise of new projects in the city?s residential market is attributed to many factors including swift connectivity, improved social-physical infrastructure, a presence of civic utilities and huge industrial base and improved socio-economic conditions. Therefore, buoyed with positive notions the city is an ideal place to reside in. In which area is ARK Homes located?The project is situated in Bolarum, Secunderabad. 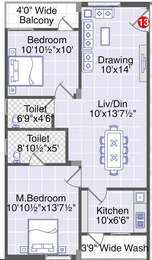 What size of flats are available in ARK Homes? The apartment sizes in the project vary from 1075.0 sqft to 1510.0 sqft. 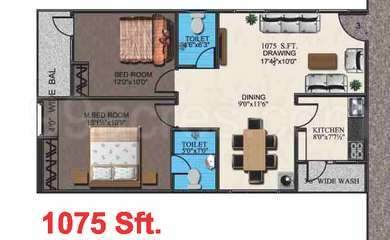 How much is area of 2bhk in ARK Homes? Two-room units (2BHK) in the project are available in an area of 1075.0 sqft to 1140.0 sqft. 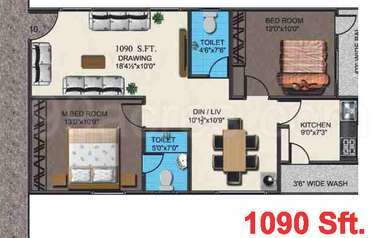 What is total area of 3 bhk in ARK Homes? 3 BHK units in the project are available in a size of 1365.0 sqft to 1510.0 sqft. What is the area of ARK Homes?The total area that the project occupies is 7.5 Acres. What is price of 2 bhk in ARK Homes? 2 BHK apartments in the project are available at a price of Rs. 3977500 to Rs. 4218000.
isplay function and aesthetics. The builders have a rich legacy of delivering high quality constructed residential and commercial infrastructure projects for individuals, corporates and the governments. I am looking for a 2bhk unit in Bolarum, Secunderabad area ? Can I know how much it will cost me ?